Sussex Police have launched a murder investigation after a man found with serious injuries has died in Crawley this morning (June 18). The 20-year-old man from Mayfield was found with what is believed to be a stab wound to the abdomen in a property in Spencers Road, Sussex Police has confirmed. Officers were called by paramedics at around 3am. The victim was treated at the scene and was taken to hospital where he sadly died a short time later. 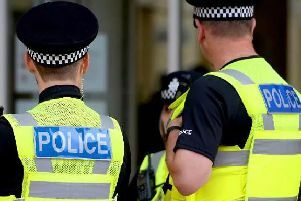 A 24-year-old woman, a 22-year-old woman and a two 20-year-old men – who are all from Crawley – were arrested on suspicion of murder. They currently remain in police custody. Detective chief inspector Antony Archibald from the Sussex and Surrey Major Crime Team said: “This has been a fast moving investigation and we are still making enquiries. We have arrested four people who are being questioned. Witnesses can email 101@sussex.pnn.police.uk or call 101 quoting Operation Venture.